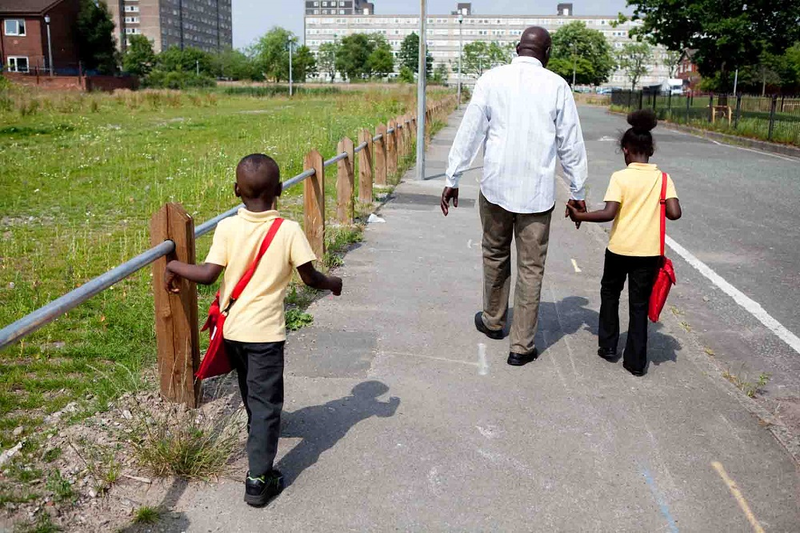 Our Children and Families project ensures that asylum seeker and refugee children and their families can develop friendships and support networks that allow them to be healthy, safe and more active in their new communities, as well as providing information to neighbourhoods and schools where refugees are settling. Our project does this via a range of different activities such as our Welcome Club and Home Visits. The Children and Families project offers one to one support for refugee and asylum seekers families as they arrive in Bradford. We offer support and advice on housing, education, benefits and accessing legal and immigration advice, as well as information about life and culture in the UK. Our staff and volunteers also run regular support groups for families, including a weekly after school club, a reading group at the local library and trips during the school holidays for families. Our Welcome Club offers a place for asylum seeker and refugee children to play together, make friends and experience days out. It also gives refugee children a supportive environment to practice their English, learn more about British culture and get support for their school work or ask for help in a supportive environment. These activities help to build emotional resilience and local friendships, which helps to build respect, understanding and cohesion in communities where refugees are based. Our service focuses on asylum seeker and refugee children and their families in Bradford who require help to establish themselves, make friends or improve their English. If you would like to refer yourself or someone else to the Welcome Club, Home Visit program, or ask for one of our staff to run a presentation about refugees and asylum seekers at your organisation, please contact our Bradford office.